The 250ml Claudia crystalite brandy glass is a traditional style with a facet ball in the stem. It would be an ideal celebratory gift that will be displayed with pride. 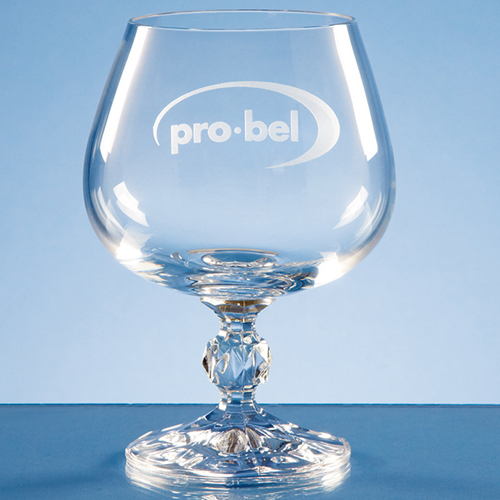 There is an engraving area where the glass can be personalised with any wording logo or crest.